Living in an urban area I find it so important to surround yourself with as much of nature’s beauty as possible. 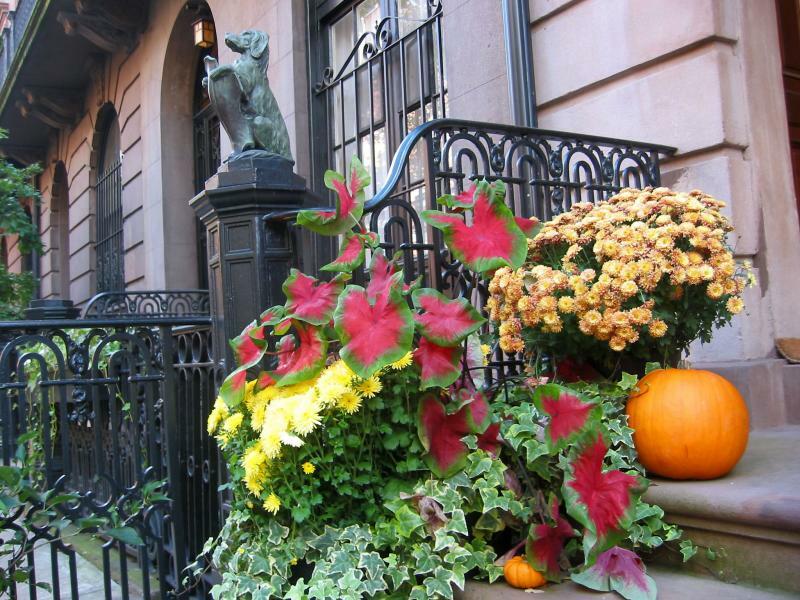 It is really awful to live on a street without trees and other greenery and flowers. When I purchased my home there were no trees what so ever on my street. I worked with the local Community Gardens to have some trees planted on my block. We need more trees but we are off to a good start.Another way to bring nature into an urban area is to create stoop gardens. You see them a lot in New York City. 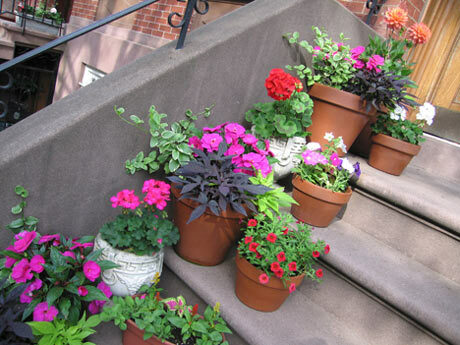 Many residents in downtown Troy New York have also created beautiful stoop gardens. 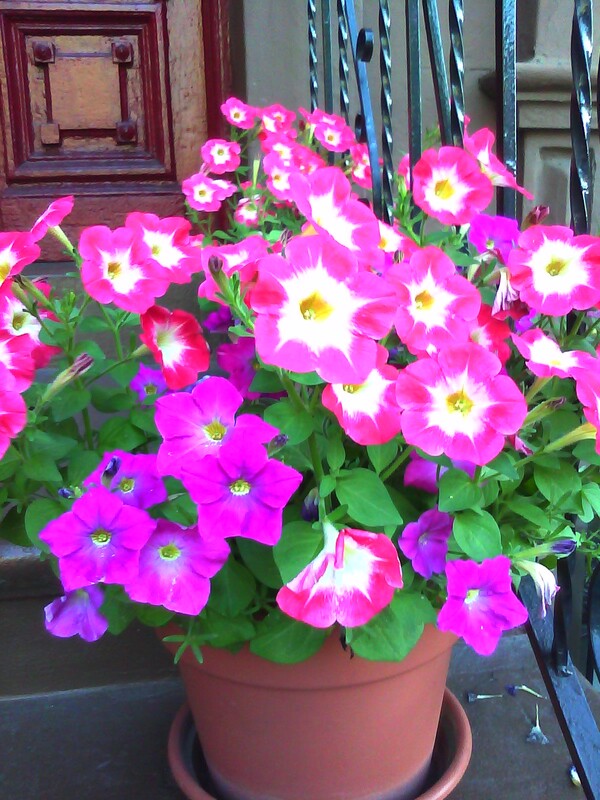 I used to put lots of pink wave petunias on my stoop, along morning glories and with hostas. 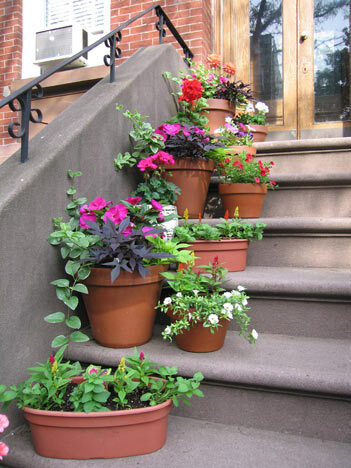 I no longer have a stoop garden because I got fed up with people stealing my plants and the gorgeous pots I had them in. 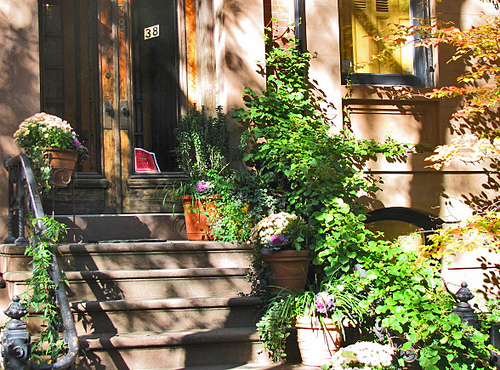 Until my neighborhood finishes going through its transformation I refuse to keep creating stoop gardens every summer. I actually start crying when I open my front door to find that someone has stolen some of my plants and flowers. 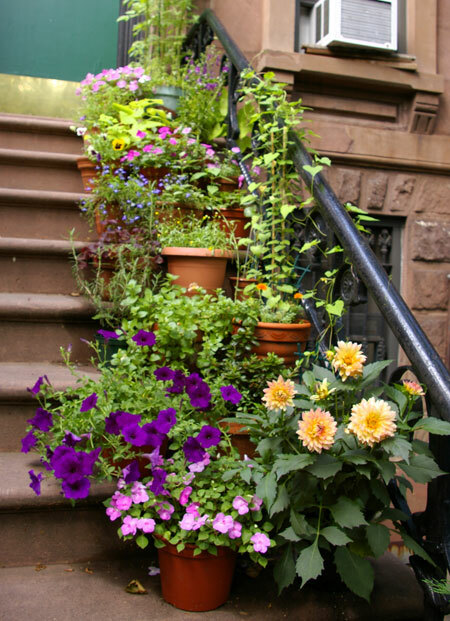 I always put my heart and soul into my stoop garden. I used to get lots of compliments on it. 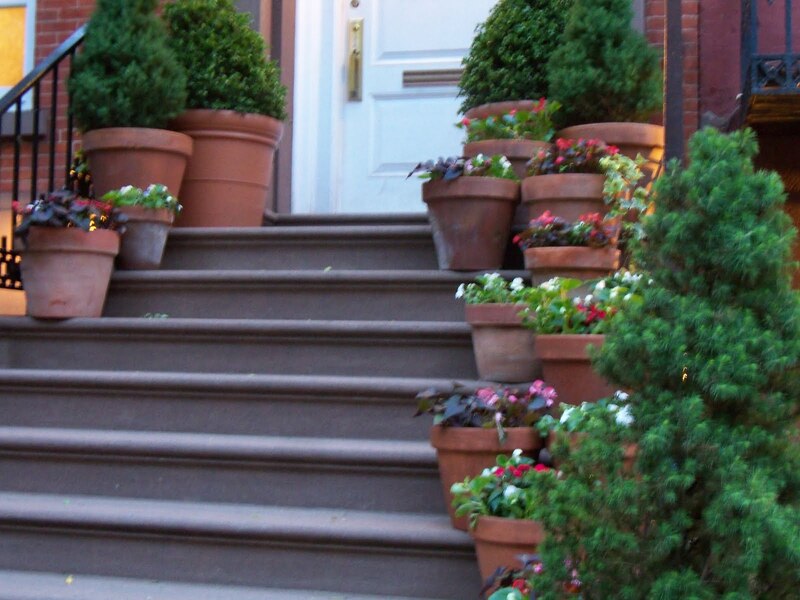 People used to tell they loved looking at my stoop every morning as they drove into work. The colors were so vibrant and the pots were beautiful. 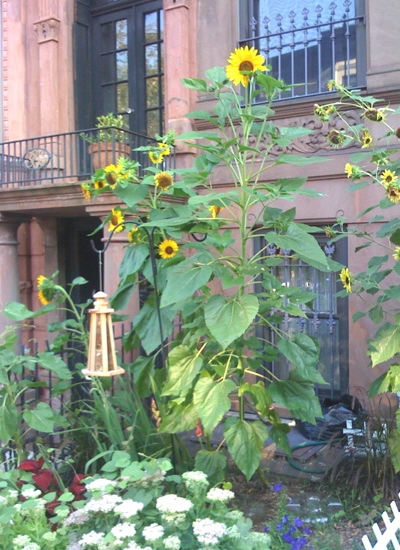 Below of some photos of stoop gardens around New York. Flowers would look lovely on your lania. Go for it. Yes, stealing other people’s plants and pots is low. I have faith though that the neighborhood will change and the quality of life will improve significantly. I still love living here. I see more great qualities than negative ones. 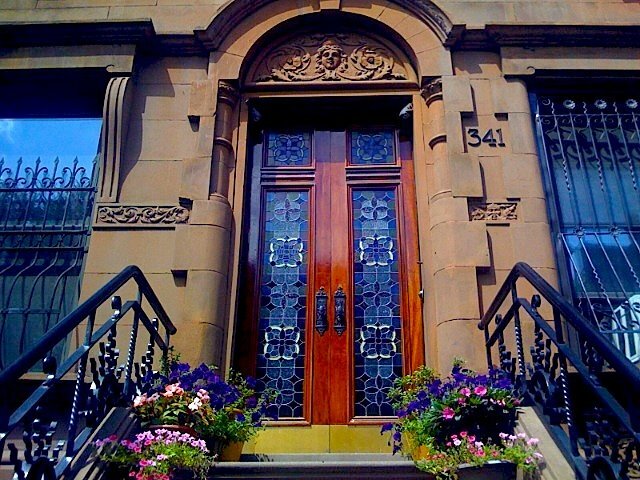 I have many wonderful neighbors and the architecture all around is gorgeous.